The punk portion of cyberpunk indicates that one can expect to encounter marginalized figures who threaten—either aggressively or just by nature of their existence—the social norm. Of course, the referent of punk changes in meaning depending on who is using it and in what context. Oftentimes the label punk is used derogatively by those who do not identify as such, and yet, for a group of people who claim a “punk” identity, the title is typically worn with pride. Here, I use punk to indicate a person who belongs to a subgroup of marginalized, or non-normative, individuals that run counter to and call into question the workings of mainstream society. For self-proclaimed punks, the term signifies that they do not belong to (n)or are accepted by mainstream society. They are othered, and they seek community in different environments and subcultures, ranging from arts and music scenes to virtual spaces—the latter of which is prime territory for cyberpunk. Since cyberpunk’s birth in the 1980s, scholars have been interested in studying how marginalized identities are enacted in this subgenre. But what has been woefully absent from such analyses is discussion of characters with disabilities. Cyberpunk scholars have examined race and gender and sexuality, but in their continual avoidance of disability, I detect a deeper uncertainty about how to approach the relationship between technology and disability. While technology is often spoken of as a “cure” or a means to “normalize” one’s disabled body, I maintain that rather than eradicate the disabled body, cyberpunk, as it occurs in virtual spaces, offers a remediation of the body: a new way of understanding and accepting how to be posthuman. Although, as with any genre of literature, there has been no shortage of sexism, ableism, and orientalism, especially within its initial movement in the 1980s, I maintain that cyberpunk provides readers with a wealth of diverse, intersectional characters who complicate and enrich our understanding of ethnicity, sexuality, and ability—especially within the more contemporary wave of YA cyberpunk, as I aim to highlight here. Free from the constraints of traditional humanist discourse, the youth in contemporary YA cyberpunk perceive the animal, the human, and the mechanical on a continuum rather than a hierarchy. Therefore, I argue that the positions held by the young, disabled punks in the novels surveyed here are indicative of a greater shift towards a more inclusive, posthuman future. The contemporary YA cyberpunk surveyed here subverts the notion that the relationship between youth and technology is one, simply a self-indulgent pastime; two, a meaningless way to engage with others; and, three, an erasure of the body. N. Katherine Hayles famously challenged the idea that virtual spaces signal disembodiment, assuring us, “the body cannot be left behind…the specificities of embodiment matter, that mind and body are finally the ‘unity’” (246). As such, this type of literature wrestles with those tough questions, the questions that our survival—especially marginalized bodies—depend on: Who is allowed to live? Whose identity is considered valid? How do we respond to others? What is the value of simulations? And, why do we need diverse bodies and diverse forms of communication? At their core, these texts are about the value of empathy, of recognizing that beings have different realities and ecologies, but none less meaningful than the other—and I don’t know what could more radical or punk than that. It might be fair to say that people with disabilities have always had a posthuman existence: segregated from mainstream society, abused, exploited, animalized, and given little to no rights until the Americans with Disabilities Act (ADA) was passed in 1990. And yet despite their clear marginalized, punk status, characters with disabilities have been excluded from cyberpunk conversations. And, as mentioned previously, no doubt a primary reason for this exclusion descends from science fiction’s complicated relationship between technology and disability. One of the earliest sci-fi stories featuring a protagonist with a disability, C.L. Moore’s “No Woman Born” (1944), presents readers with Dierdre: a performer who is badly burned and given a prosthetic metal bodysuit. Although the story interrogates what renders one human in interesting ways, Dierdre refuses to acknowledge that she has a disability, especially to her audience—perhaps giving us one of the earliest examples of a passing narrative in science fiction. Similarly, Helva in Anne McCaffrey’s The Ship Who Sang (1969) continually challenges her crew to define the difference between human/inhuman, physical/metaphysical. Unfortunately, however, McCaffrey’s ableist writing of Helva’s life as a shell-person overshadows the potential for a disability-positive reading. Even more unsettling, yet more clearly within the cyberpunk realm, is James Tiptree Jr.’s “The Girl Who Was Plugged In” (1974), which tells the story of P. Burke, a teenager who has pituitary dystrophy. After a suicide attempt, she is offered the opportunity to become a “Remote”—a brain that is able to control an artificial body named Delphi. The narrator regularly emphasizes that P. Burke is physically unattractive, more “monster” than human, and the disabled character does not fare well in this story in any sense. P. Burke/Delphi’s love interest is horrified when he discovers P. Burke’s “real” body, and he kills her as a result. It is possible that Tiptree’s disturbing characterization of P. Burke is intentionally asking readers to consider how fem and disabled individuals are marginalized in society. And perhaps this is where we needed to begin: with the harsh reality that far too often the disabled body becomes an eradicated body. Fortunately, however, cyberpunk—and YA cyberpunk in particular—has tended to consider disability and virtual embodiment in more nuanced ways than Tiptree’s haunting story and the science fiction that preceded it. To be clear, I am not suggesting that all people with disabilities are punks by any means, but I do think that “punk” can be positively rallied for individuals who defy societal norms. The ways in which crip has been reclaimed by the disabled community certainly has punk connotations, for example, and the increasingly vocal disability rights movement indicates that those with disabilities are willing to cause as much “trouble” as necessary in order to create a fairer, more inclusive world. And, if contemporary cyberpunk featuring disability is any indication, their voices are gradually being heard. 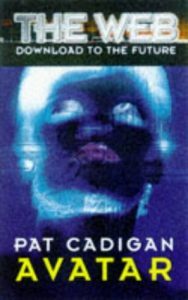 The young adult market, in particular, makes up a significant portion of cyberpunk published over the last couple of decades, and, beginning with one of the mothers of cyberpunk herself, Pat Cadigan’s YA novella Avatar (1999) presents readers with a central character with a disability. After Max is involved in an accident that leaves him paralyzed, he uses Websuit technology and his friend Sarah to see the world outside of his hospital room. Here, although the elders in their community consider technology to be dangerous, Max and Sarah are willing to act outside of what is conventionally accepted in order to explore posthuman identities. Consequently, Max and Sarah become punks, ostracized from their community for their use of technology, and their relationship challenges our traditional (though problematic) humanist model that has been in place since the Age of Enlightenment. Despite Cadigan’s reservations about technology—which are clearly communicated here—Avatar positions the youth against the older generations in a way that radically shifts the way technology is perceived and diversity is accepted. While technology is important to Max’s individual development in Avatar, the stakes are even higher in Conor Kostick’s Edda (2011) in which technology is literally life or death. Penelope, one of the central characters in this novel, remains in a hospital bed, while her avatar is free to do as she pleases—so long as Penelope continues to code. If she stops coding, her society will unplug her—deeming her no longer useful. Kostick raises compelling questions in terms of agency and dependence, but what is especially fascinating is that her handmaiden regularly assures her that her body is not broken, that it is simply her environment that is unable to accommodate her body IRL. As disability rights activists have long been proclaiming, it is not their bodies that disable them, but rather society—a notion that, while radically evident in cyberpunk literature, has been long overlooked. If, as in Edda, virtual realms are the more accommodating, accepting spaces for disabled persons, it is crucial that we move beyond the notion that these experiences aren’t real or important. 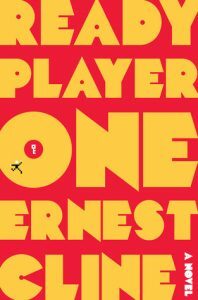 Although Penelope’s avatar is vastly different than her body IRL, the changes are subtler and more nuanced in Ernest Cline’s Ready Player One (2012). The implications of what one chooses to include or not include in their avatar is a central concern of this novel—which, more explicitly than Neal Stephenson’s cyberpunk classic Snow Crash, explores how performing as other in virtual spaces can positively facilitate one’s self-acceptance. One of the characters in the novel, Art3mis, chooses not to incorporate her facial deformity as part of her avatar—even though she keeps everything else the same. Throughout the text, Art3mis doubts that her love interest Wade could be attracted to her in “real” life. She is convinced that by passing online in a more “normative” form is the only way that she can function in mainstream society. However, by the story’s end, Wade’s love for her “raw personality” helps her to accept herself, as, when they meet in person, she has her hair pulled back, no longer feeling the need to hide her physical difference (Cline 370). This was demonstrated in a different, though intriguing way, in Steven Spielberg’s recent film adaptation (2018) of the novel, in which Art3mis chooses to later incorporate her birthmark into her avatar. As with Avatar and Edda, Ready Player One highlights not only the importance of these virtual spaces to our young, disabled punks, but also the transformative potential they have for both the individual and for society at large. Although the texts previously mentioned feature disability in different ways, the most explicitly disability-centered YA cyberpunk is also the most recent. The Six (2015), by Mark Alpert, introduces readers to six teenagers who leave their disabled bodies behind to be uploaded into weaponized robots that work for the government. The Six are the epitome of punk: regularly challenging the government, refusing to conform to expected norms, and fighting for respect for their individual posthuman bodies. While there was a strong possibility that this series would be an ableist, supercrip, curative narrative, it has a surprising amount of depth and an honest, respectful approach to disability. Alpert does not shy away from writing about the difficulties of existing in a way that others deem abnormal. Furthermore, Alpert’s series wrestles—more than any of the other texts mentioned here—with the challenges of reconciling disability and technology. Disability-activist Eli Clare writes, “Like cure itself, the evolution of technologies sparks ambivalence. We fear the shifts. We resist them. We welcome them. We need them” (94). And, I hope that this tension, so evident in Alpert’s series (of which the third book was just released in 2017), continues to be approached in constructive ways. To conclude, I do not subscribe to a naïve, utopian vision of technology in which the body, and all of its meaning, is defused. In each of the texts surveyed here, it is evident that the disabled body is neither “cured” nor expunged by technology. Rather, it is the “real” world that destroys bodies like P. Burke’s—ones that fall out of our traditional understanding of what it means to be “human.” Here, I hope to have demonstrated that—although disability is present in classic cyberpunk—the contemporary wave of disability in YA cyberpunk warrants our attention. As cyberpunk continues to offer us complex, multiplicitous posthuman (dare I say, punk) understandings of the body, we must invite the disabled body into the conversation if we have any hope of moving toward a more just and accommodating society. Bio: Anelise Farris is presently an English PhD Candidate at Idaho State University. Her dissertation-in-progress concerns disability and cyberpunk, and her past publications have considered various ways in which folklore, pop culture, and disability studies intersect. “A Guide to Disability Rights Laws.” ADA, July 2009, https://www.ada.gov/cguide.htm. Alpert, Mark. The Six. Sourcebooks Fire, 2015. Cadigan, Pat. Avatar. Orion Childrens, 1999. Clare, Eli. Brilliant Imperfection: Grappling with Cure. Duke University Press, 2017. Cline, Ernest. Ready Player One. Broadway Books, 2011. Hayles, Katherine N. How We Became Posthuman: Virtual Bodies in Cybernetics, Literature, and Informatics. University of Chicago Press, 1999. Kostick, Conor. Edda. The O’Brien Press Ltd., 2011. McCaffrey, Anne. The Ship Who Sang. Walker & Co., 1969. Moore, C.L. “No Woman Born.” Agnus, 1944. Stephenson, Neal. Snow Crash. Bantam Books, 1992. I am using disability in accordance with the ADA’s definition (ADA). This definition aligns with the social model of disability, in which the individual with the impairment is viewed as disabled by the environment in which they live. In Neal Stephenson’s Snow Crash (1992) the character Ng is a war vet who is a wheelchair-user in Reality and an able-bodied man in the Metaverse. Despite this distinction, Ng does not bemoan his condition, viewing his wheelchair as merely “an extension of [his] body” (Stephenson 226). Ng does not appear to prefer one state over the other; rather, both fuse together to form his identity in a positive way (Stephenson 248). ← Could the Climate Crisis Spell the End for the ‘Punk’ in ‘Cyberpunk’?